Located on the southwest coast of Newfoundland, La Poile Bay runs northward for some nine miles from its entrance. As you continue into the harbor, the bay is divided into several smaller bays, including North Bay and East Bay, with Dolman’s Cove separating the two. North Bay and East Bay are both well protected, with East Bay being much easier to access and closer to the cod fishing grounds. Built in 1989 by Calvie Meadus, fisherman and boat builder from St. Jones Within, Trinity Bay, this motorboat measures 19’6” long and just over 6’ beam. “She is quite substantial for a motorboat her length with big flaring on her bows and a wide counter,” says her current owner, Kevin Price. 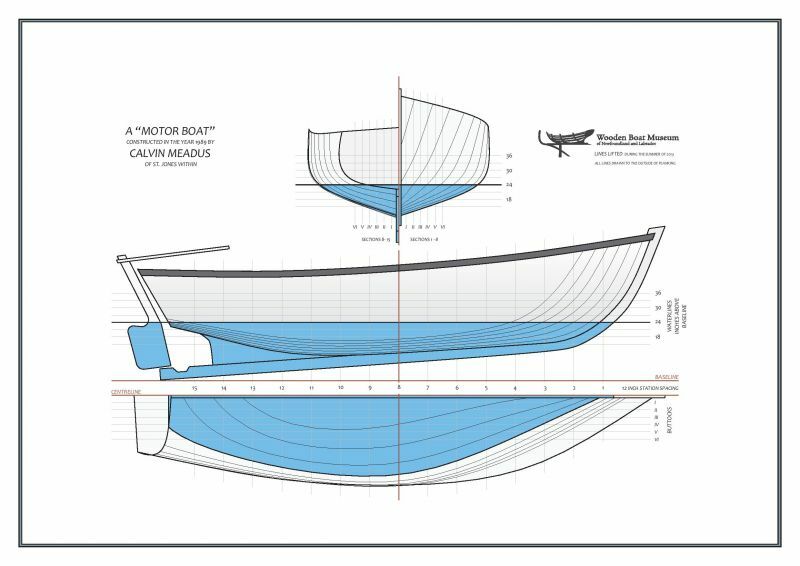 “That gives you a better boat in the wind,” Calvie explained.